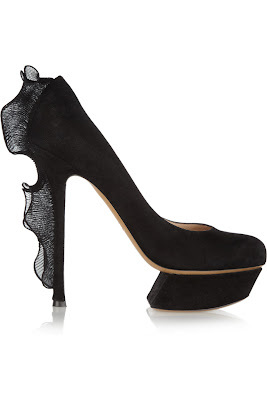 RoCkaNdFRoCk: I CouLd KiLL FoR ThiS HeeL #3. Il dietro mi piace molto....amo tutte le scarpe particolari!!! Oh mio diooo: to die for!!!!! Those are amazing!!! Nice find! Isn't NetAPorter torture???? Love the heels! So great! Si in effetti Net-a Porter è una vera tortura!! Those shoes are truly amazing! I love unique shoes! Beautiful shoes! Thanks also for your comment on my blog :) I am now following you on Bloglovin, Facebook, and Twitter! !